If you like the specification of the CN37, but you would prefer to have a full wooden key action, the CA58 is the piano for you. responsive and provides great training for playing an acoustic grand piano. 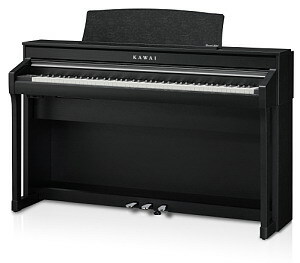 These features should inspire pride in any owner of a Kawai CA58 piano. Further flexibility of use is gained through digital functions such as USB recording and playback in WAV, MP3 and MIDI formats. There’s also built-in lesson songs and finger exercises, as well as several keyboard modes including Four Hands.